at any instant. 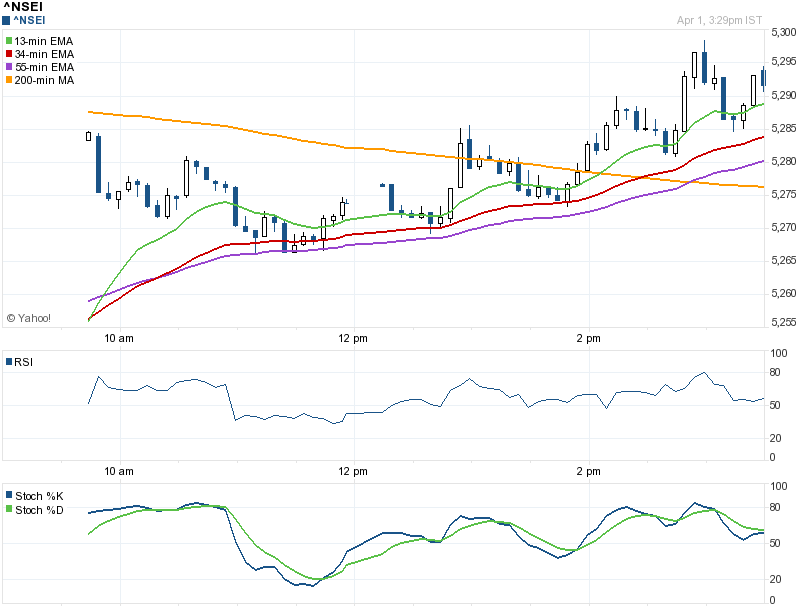 As 3min EMA is almost equal to the price of the candle i feel that it could be removed from NSETRACKER. And soon 3min EMA will be removed from all the other charts too . Any suggestions,modifcations and Enhancements about the EMA Charts are welcome! As you mentoned 3 min EMA is not required, but slow stocastic line colour red and blue will be preferable instead of blue and green.